Seems like charm bracelets are always a classic piece that never seems to go out of style. Probably because it is such a fantastic way to show off your personality in such a fun and unique way. I recently came across an amazing site that allows you to find the best in high-quality charms, some of the most unique charms I’ve seen, and at a fraction of the price of what you would pay elsewhere! 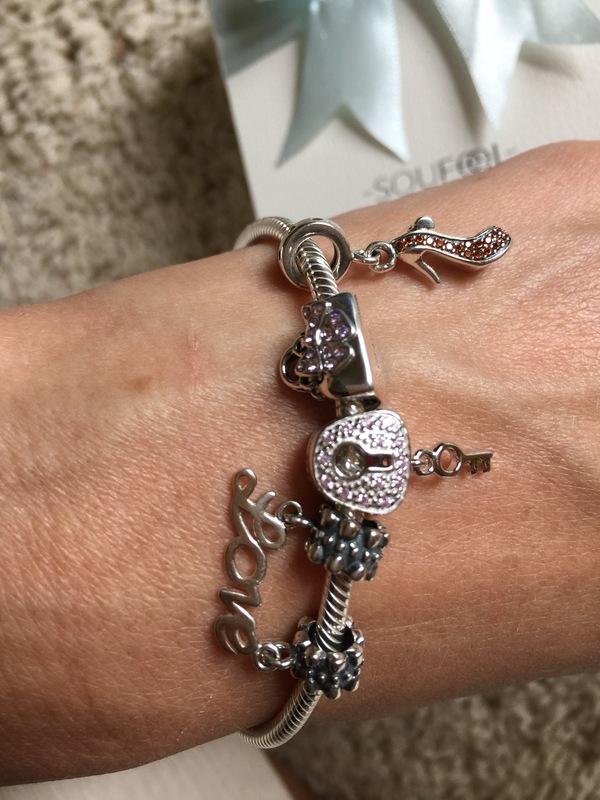 SouFeel offers pages and pages of beautiful, chic charms sure to fit everyones style! SouFeel charms are made with 925 silver and will fit on a Pandora or Camilia Bracelet, if you already happen to have one of those. 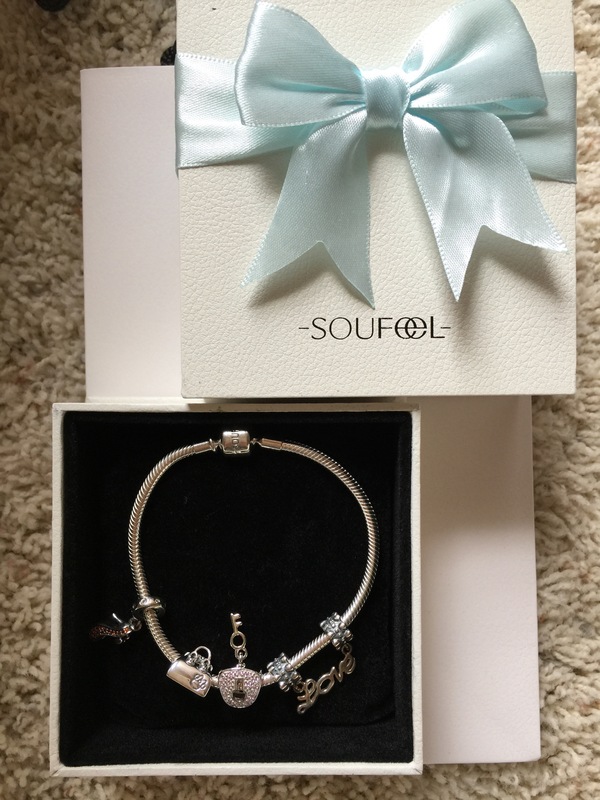 If not, you can pick up a beautiful, high quality silver bracelet from SouFeel as well. 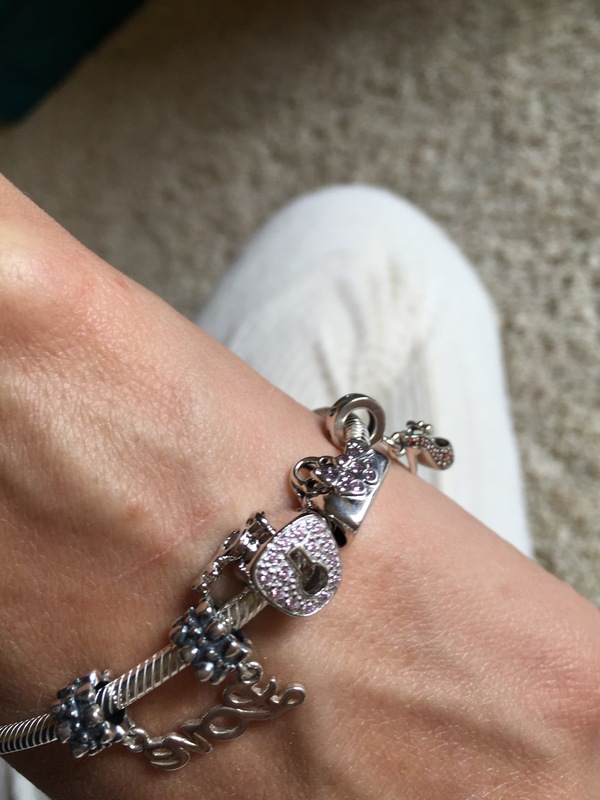 Being a fashion blogger, it’s probably no surprise that my favorites were a handbag charm and a shoe charm, but I also found some other beautiful charms I can’t wait to add to my bracelet to show the world what I’m passionate about. I personally love the suitcase charm and globe charm, because I love to travel, the duck charm, because I love animals, the camera charm, because I love photography, and the England Charm, because I hope to live in London one day. As you can see here, SouFeel offers such a wide variety of charms, you will be amazed with what you can find! You can even use their handy little search bar to find something specific you might already have in mind. If you’re looking for less personable charms, you can also find Murano Glass beads, flower charms, heart charms, and gemstone charms. You will also find great charms for motherhood, zodiac charms, vintage charms, alphabet charms, nationality charms, religious charms, birthstone charms, and much, much more at SouFeel! In fact, I’m constantly checking out their New Arrivals section to see what new charms have been added that would look great on my bracelet! 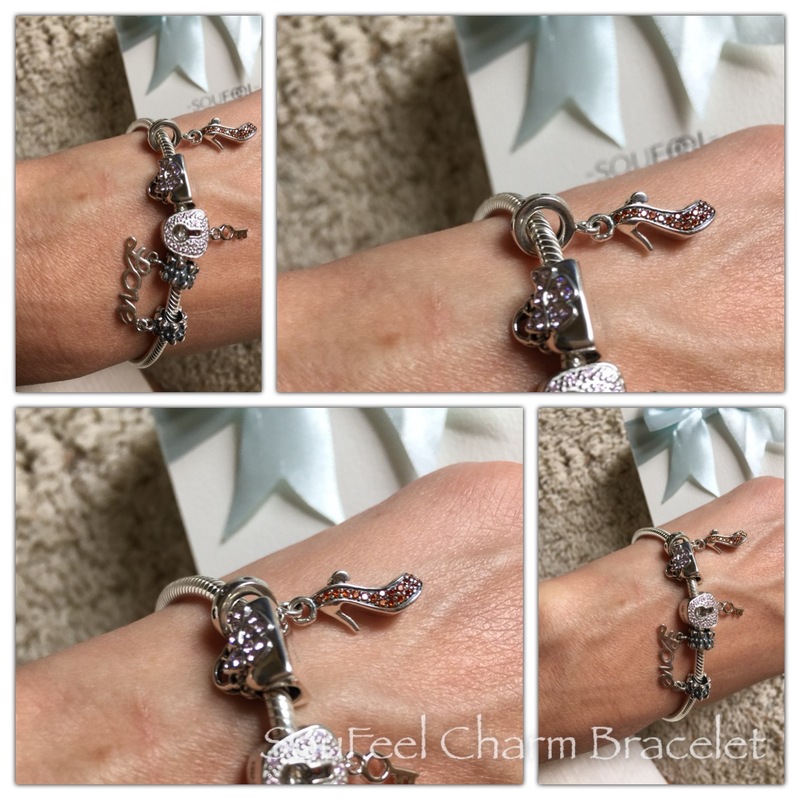 Isn’t this charm bracelet gorgeous? It looks amazing with anything you where too, making it a fabulous staple you can wear over and over, and we already know they never go out of style! 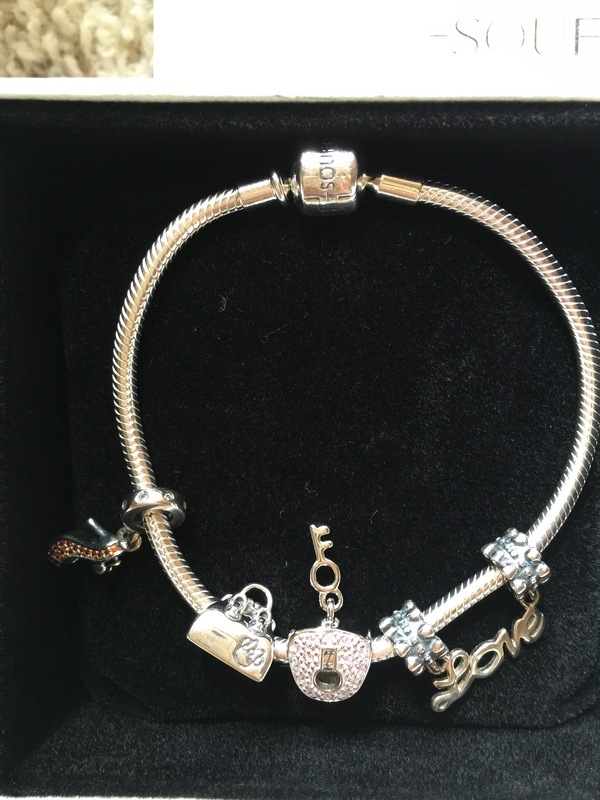 Interested in picking up a charm bracelet for yourself? Check out SouFeel.com today! They also have a wide variety of bracelets, necklaces, rings, and earrings if you’re looking to add more than just charms to your jewelry wardrobe! Also right now, they have some great deals going on too! Spend over $59 and get a FREE ring! Spend over $79 and get a FREE Charm! Spend over $99 and get a gorgeous Bracelet for FREE! Also get FREE shipping when you spend more than $50. SouFeel also offers an incredible 365 return/exchange policy, so you now know you can shop with them worry-free too! Also, right now, the lovely people of SouFeel are offering my readers an additional 5% OFF your order by using the code: SCindy at checkout! Do you have a charm bracelet? What charms would your rock? Let me know in the comments, I love hearing from you! * I was given this product for the purpose of review. However, all thoughts and opinions expressed in this post are solely my own. I only share reviews with my readers, I feel will be beneficial or informative in some way. I had a charm bracelet when I was younger. I don’t know what happened to it. I wasn’t nearly this nice as it was geared more toward older children…which I was at the time. I love all the freebies that SouFeel throws in if you spend a certain amount. I have never owned a charm bracelet, the ones pictured are very pretty! That is a pretty charm bracelet but lets just move on to those great shoes! I love them! I had a charm bracelet in high school that I collected silver charms for over many years. I still have it. Since we lived in the Bahamas, a lot of the charms are ocean related like starfish and shells. Ok, now I am really in love 🙂 I know what I want for my B-day! but I have to say that your outfit is awesome! This is such a pretty bracelet. And I love your look and the colors together look great on you. I’ve never been a huge charm bracelet lover.. I’m not quite sure why.. probably because they’re so money consuming! I do really like their Green Vines Charm 925 Sterling Silver!